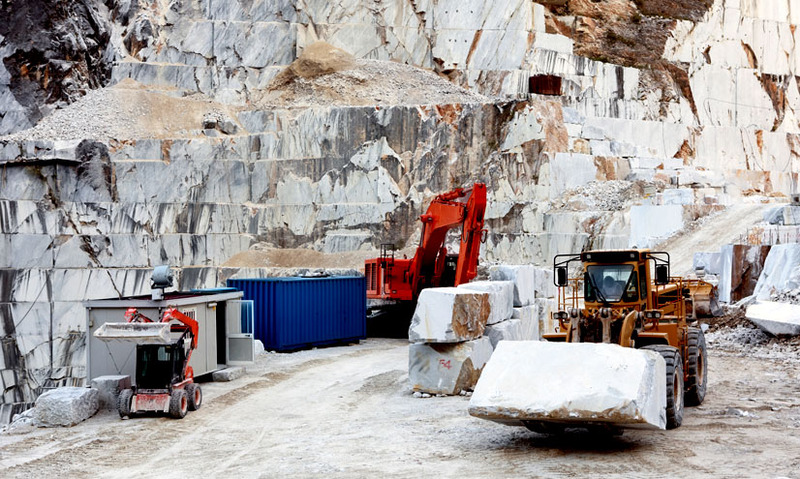 Quarries are found all over the world, providing employment and boosting local economies. What are the various economic, social and environmental impacts? Globally, rock such as granite, marble and limestone is extracted by quarrying. The world's largest working limestone quarry, in Michigan, USA, can be seen from space. Quarrying provides jobs, primarily in rural areas and supports employment in related industries, such as construction. Quarrying is an unsustainable practice, extracting finite resources, disfiguring the environment and creating air and noise pollution. Across the world, rocks such as granite, marble and limestone are extracted from the ground in open-air mines, called quarries. Some quarries are small like this one in China, which still uses manual labour and hand tools.